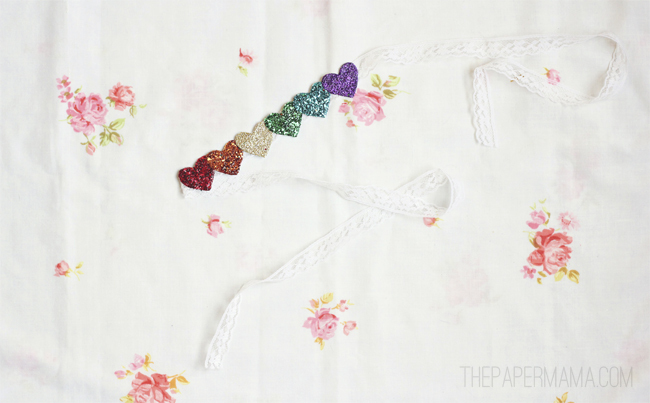 Rainbow Heart Headband DIY For the Kids! I’m sort of on a rainbow kick (if you haven’t already noticed) and I felt like there was something missing in my life, I couldn’t quite place it. 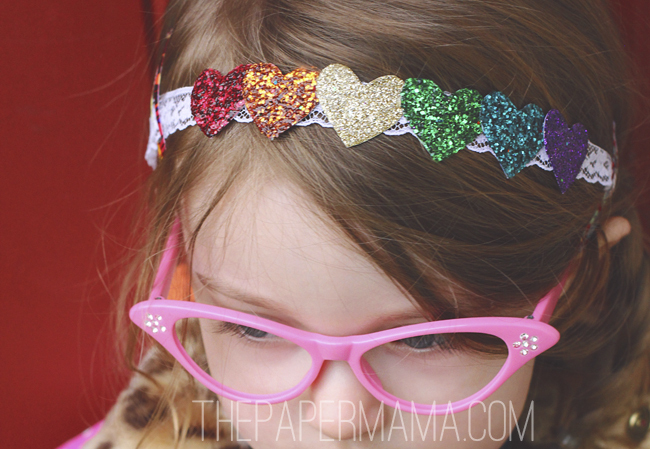 Then, it came to me: my kiddo needs a rainbow heart headband. I made one and now my life is complete! Hee. She was pretty stoked to see what I had made for her… but then she asked me to make another one with ONLY Purple Hearts. That kid is addicted to purple. 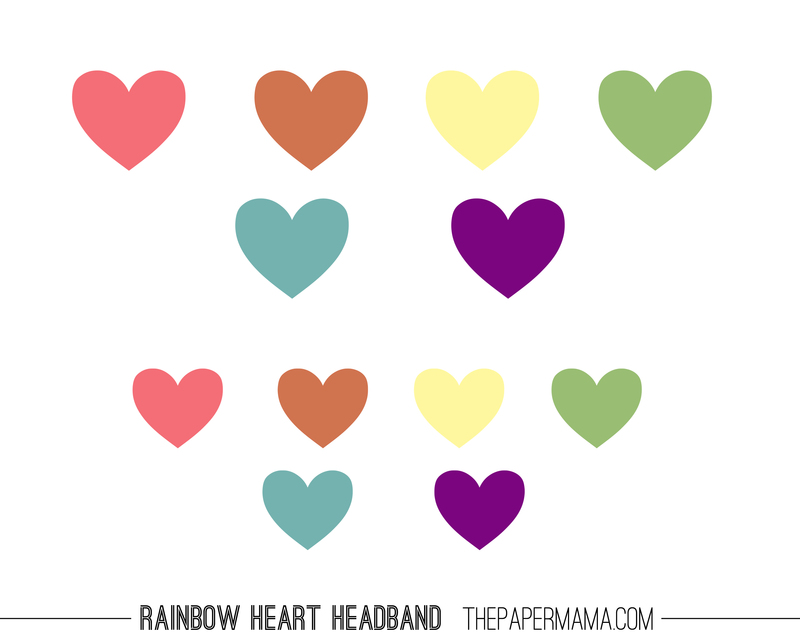 – Print and cut out your colored hearts printout. 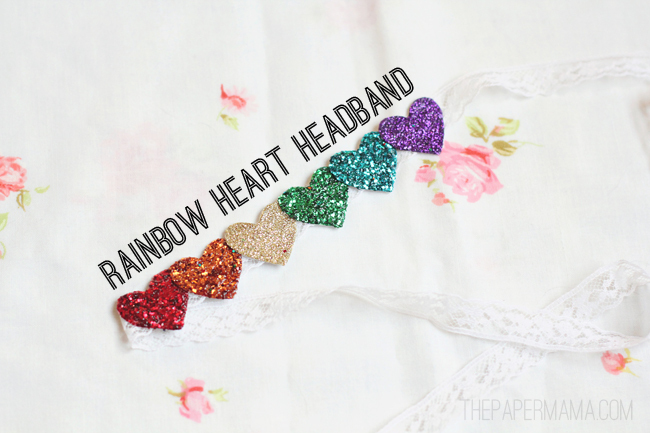 I chose to use the smaller hearts for my headband. 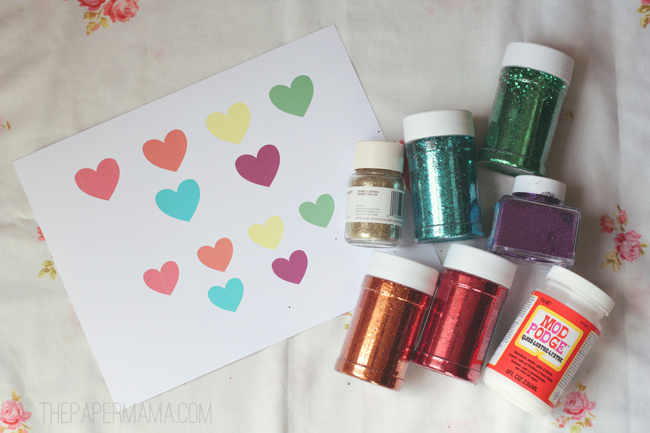 – Add a layer of Mod Podge to a heart and add a layer of glitter. Let dry completely and repeat a second layer of glue and glitter (if necessary). Do this to ALL of your hearts. – Add about 2 coats of Mod Podge OVER the glitter on the hearts. This will seal them and keep the glitter in place. – Let dry completely (maybe a couple of hours). 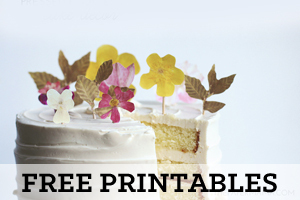 – Optional: Spray a couple of Acrylic Sealer Spray coats onto your hearts (Mod Podge is water-based, and needs a sealer if exposed to a lot of moisture). I chose to skip this step, since my kiddo pretty much hides from rain. Ha! So, no worry about it falling apart from the rain. – Hot glue your hearts, in a line, onto you ribbon. 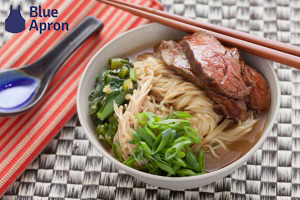 Let cool. 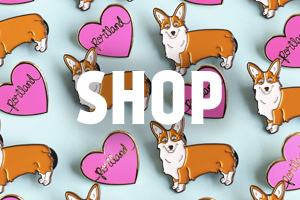 – Tie around your head (or your kiddo’s), and dooone. Love this! never would have thought of using paper for any headband.